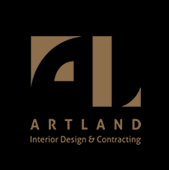 Artland is a Saudi Based Company operating in the field of Design, General Contracting and Furniture. The company has fully demonstrated that it has the capability of executing a turn-key jobs from Designing to finishing products including Architectural, Civil, Finishing and Electro-Mechanical up to Furniture design supply and installation with the emphasis on details, qualities, and meeting all projects plans & specifications. The company has effectively built a solid partnership with National, International Architectural Firms and Developers resulted in accomplishing all the need of our clients. Our direct working relationship among all parties in all associate disciplines allowed us to deliver unique designs and provide an innovative solutions in our projects from interior spaces for Offices, Apartments, Houses, private Villas, and Palaces. Artland has developed a safety program to help protect workers from the hazards associated with its operations. A “safety culture” is implemented on Artland sites, with stringent meansures being applied to minimize and prevent the accurrence of accidents. Safety officers are trained to enforce the programs and to follow up on equipment safety maintenance and usage. Due to the diversity of our projects, we have developed health and safety systems that are designed to the requirements of each individual project and comply with the most rigorous standards. One of our most important core value states that we are "dedicated to detail - our care and attention to detail drives exceptional quality". This value has been at the heart of Artland since our inception and is an essential part of our culture. Over many years we have refined our processes and procedures to ensure that we can produce projects of the very highest quality on a consistent basis. Our commitment to delivering the highest quality project is evident at key stages throughout every project - from design to procurement & planning and establishing quality standards specific to our client’ objectives, through to creating an environment on every project where attention to detail and quality is nurtured, encouraged and celebrated.